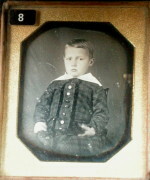 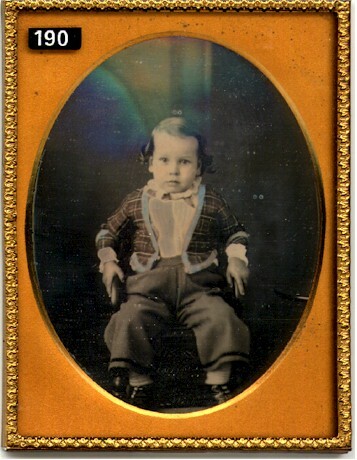 Description: Hand tinted daguerreotyoe of a small boy in a checkered jacket. 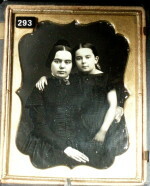 Resealed, resilvered plate in half case. (Rainbow effect is from scanner, not on image).